Select an option... Booth : I will prepare tables & chairs for the guests to sit with the artist(s). Roving : I don’t have any tables & chairs. Please have the artist(s) wear work apron(s) and walkabout. Instead of running off to the hair salon to get your hair styled at the last moment, why not bring the hair salon to you? Not only does our hair styling booth double up as party entertainment for your guests, you too can have your go at our diverse range of exciting hair styling services in the comfort and convenience of your home or party venue! You’ll be amazed at how our creative hair stylist can instantly bring in the chic & cool vibes to any cookie cutter event! 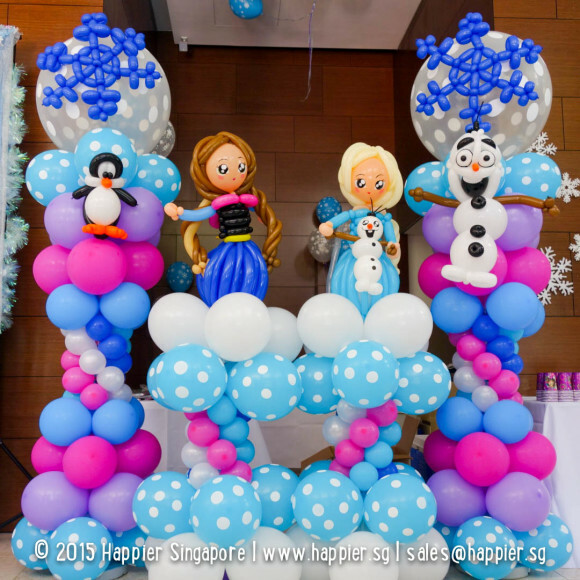 At Happier, we pride ourselves in bringing you the best hair styling services in Singapore for corporate dinner & dance events, birthday parties and festive carnivals. 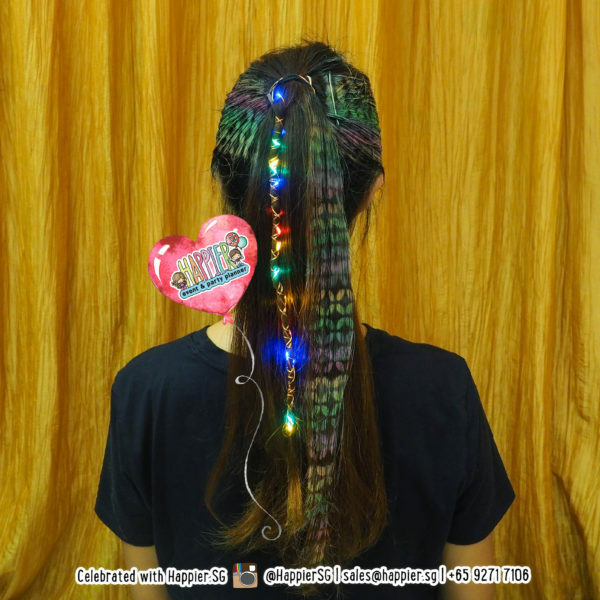 Treat your guests to an unforgettable time at your event with Singapore’s never-seen-before temporary neon hair tattoos! Our event hair stylists are the first in Singapore to offer this ground-breaking temporary hair tattoo service. We have reinvented the boring hair color spray with vibrant and eye-catching patterns that even the pickest of fashionistas would love wearing. Hair tattoos are kind of like temporary tattoos. You’ll just need one of our skilful hair stylists for the application of these cool designs onto your hair instead of skin. Our hair tattoo colors are washable with regular shampoo so you can be assured your luscious locks will look all nice and squeaky clean in time for work or school. Whether you are planning to host an elegant affair, a hip music festival, or a kids birthday party, our hair braiding, hair tattoo or hair beading services will add fun pops of color and carnival vibes to your celebration! Our creative hair stylist will work with your natural hairstyle, just boosting it tenfold to epic, movie-esque levels with our temporary neon hair tattoo and glowing LED braiding and beading techniques. Think you’d like to get those intricately detailed braids and cornrows like the Black Panther, or a kooky, beaded hairdo from the Pirates of the Caribbean? 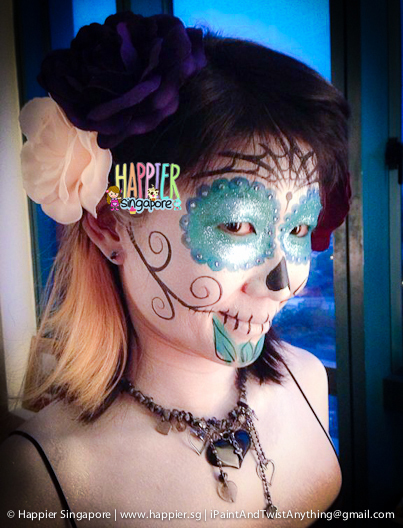 Hire our hair art booth to achieve a similar effect within mere minutes! Nothing satisfies us more than giving you an epic event experience. 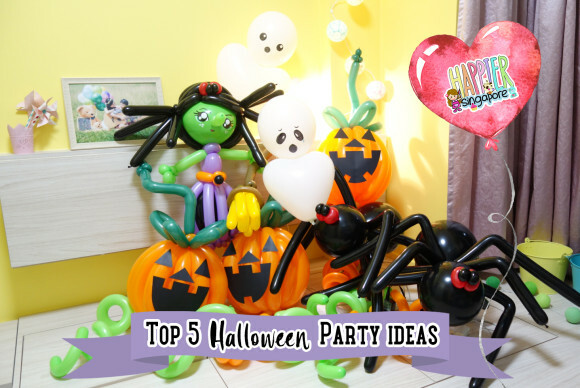 Let us know which hair art services you fancy, be it hair braiding, hair tattoo or hair beading, and our friendly party planners will help you get your party rollin’! How long in advance do we have to book your Hair Braiding, Tattoo & Beading services? What if I have yet to finalise my party but I am really keen to book your Hair Braiding, Tattoo & Beading services?